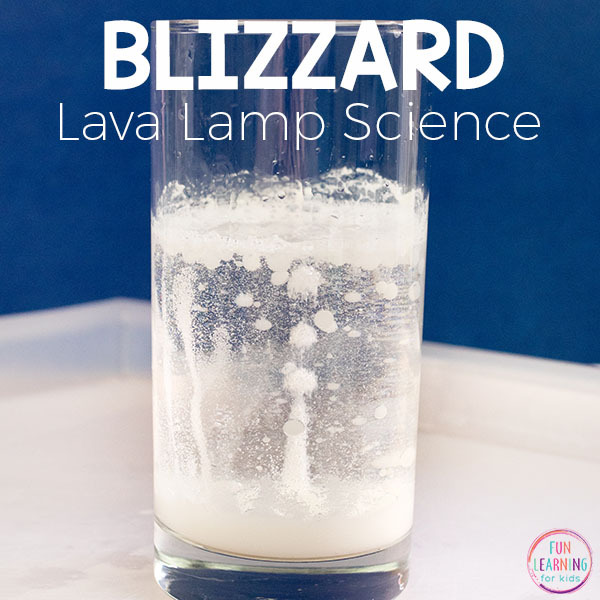 This blizzard lava lamp experiment is super cool! 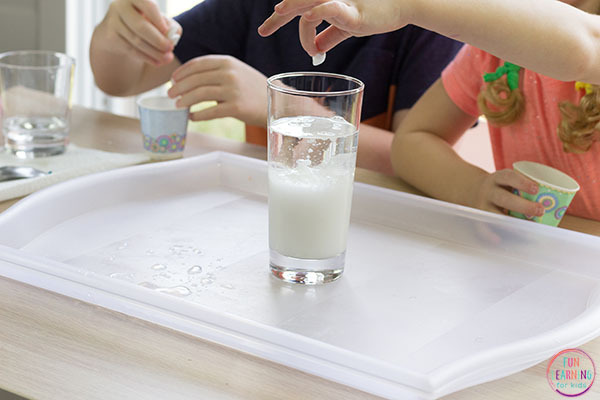 Your kids will love exploring colored water and oil, but a surprise ingredient will make this experiment even more exciting! 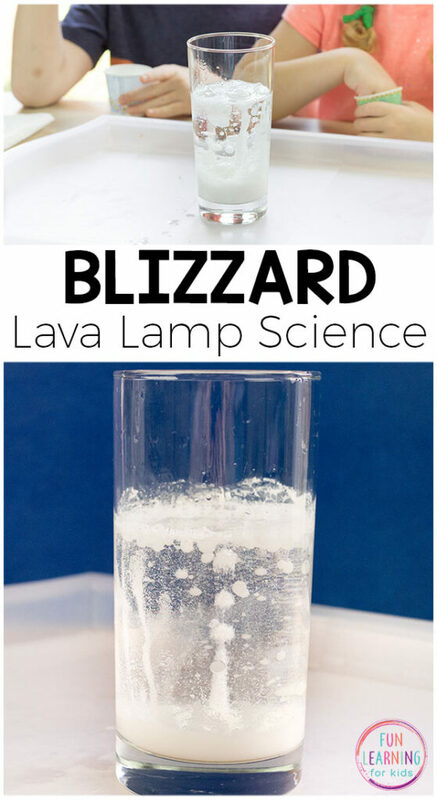 And best of all, this science activity looks just like a blizzard in a jar. 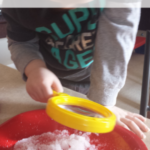 This makes it perfect for your winter science lesson plans! 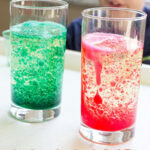 The classic lava lamp experiment is one of our absolute favorite science activities! The kids never get tired of it and it always amazes them. This winter version really excited them because it looked like a blizzard was going on inside the glass. They thought it was so cool! 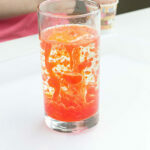 You only need a few simple supplies to do this blizzard lava lamp experiment with the kids. 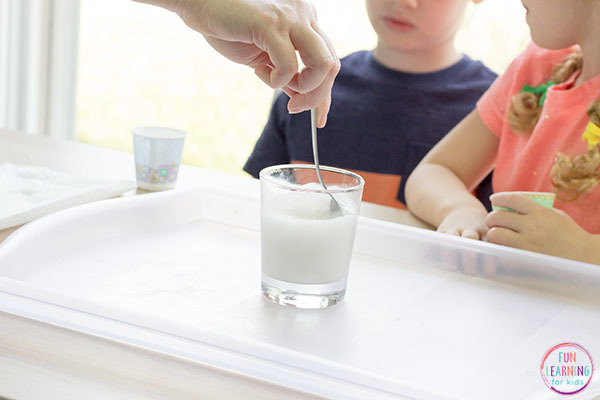 *Note: This experiment is not good for kids who still put things in their mouth and you should always supervise children while doing it. 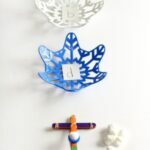 In a small cup or bowl, mix about 1 tablespoon of white paint with a cup of water. Pour the baby in a tall glass or jar until it is about 1/2-2/3 full. Pour the white water into the oil. Break the Alka-Seltzer tabs in quarters and put them in a small cup. 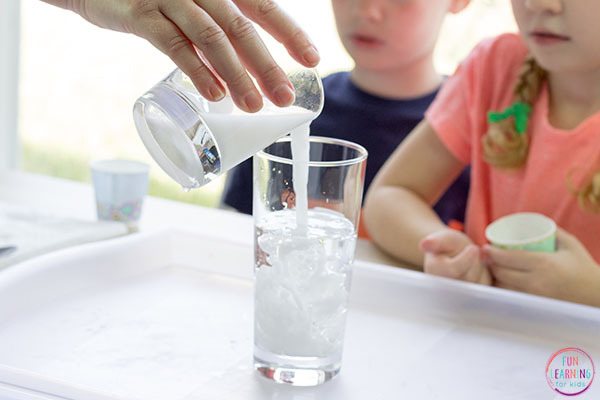 Kids will take a piece of an Alka-Seltzer tab and drop it in the glass. *DO NOT let them put the tablet in their mouth at any time. They will soon see the white water start to bubble up in the glass. It will rise up to the top of the oil and then drop back down over and over again. 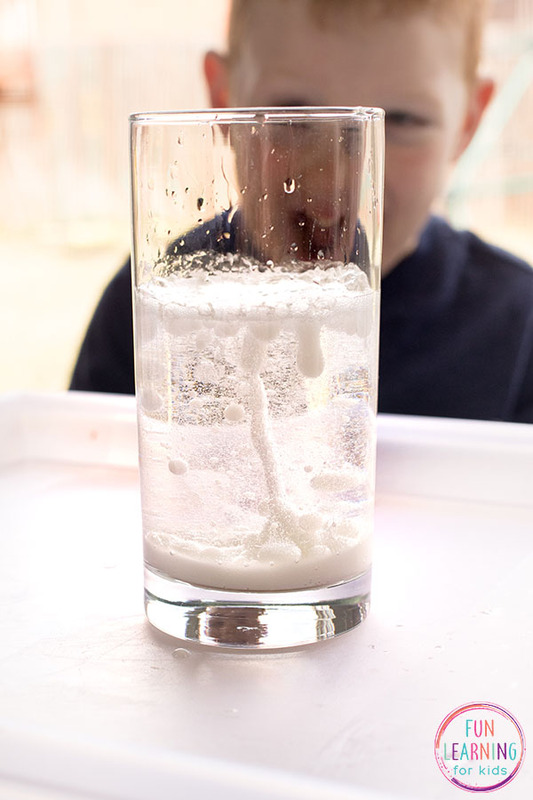 The more pieces of Alka-Seltzer you drop in the more it bubbles up. Just be careful, if you add too much it might bubble over the top of the glass! 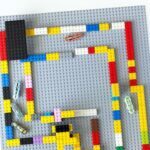 We learned that the first time we did this. The water and oil do not mix and the oil doesn’t change color because the food coloring is water-soluble. 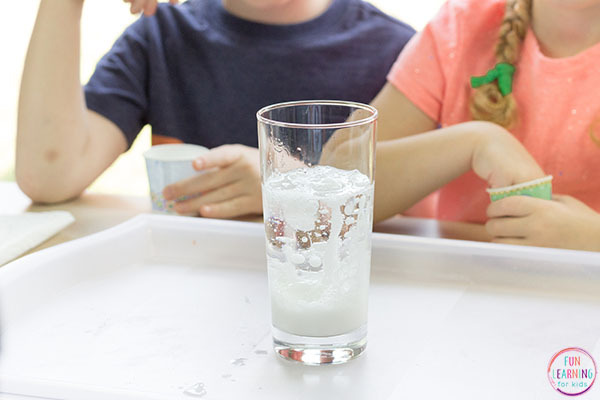 The Alka-Seltzer reacts with the water to make bubbles of carbon dioxide. The bubbles attach themselves to the blobs of colored water and bring them to the top of the glass. When the bubbles pop the blobs of colored water fall back to the bottom of the glass. 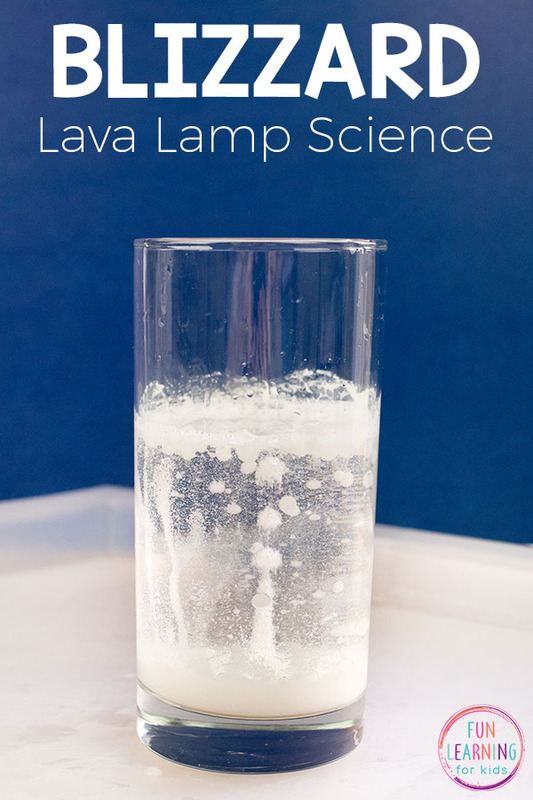 This lava science experiment is sure to WOW your kids. 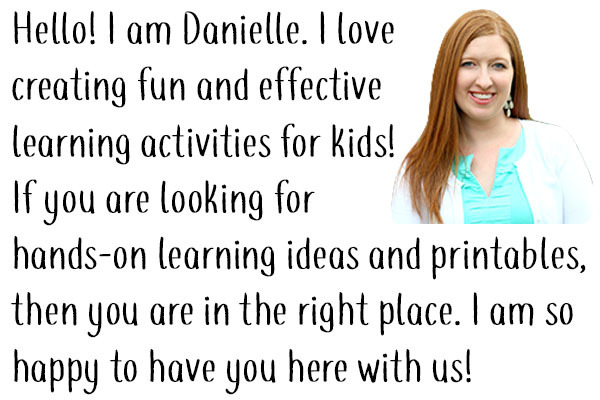 They may even ask you to do it over and over again like mine did! 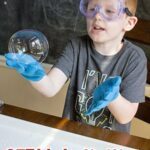 STEM Activities that will Excite Your Kids!